The bubble burst soon when my mom passed away within five months of our marriage. There was mayhem in my life. I was shattered deep within but T turned out to be my biggest caregiver. He helped me muster the courage to face the reality by staying supportive and non-judgemental. I realized that our concept of love is so skewed because of the unrealistic romance in movies. Incidents like these actually tested the mettle of a relationship. During this period, I had a lot of communication issues owing to the inner conflicts. Realizing my mental state, T encouraged me to get back to the habit of writing a diary. Penning down my thoughts turned out to be cathartic. After a few months, I developed a habit of writing short messages to him. Instead of a message on the mobile, I would leave an envelope with a handwritten note inside it. started writing short letters to him. His schedule was earlier than mine. Somedays it would just be about some mundane thing but I kept at it. He rarely wrote back but he never failed to reciprocate through his gestures. He still has the collection of notes safeguarded within the envelopes. They remind us of surviving through the most difficult of times. In 2014, we moved back to Bangalore to start new jobs. For me, it was homecoming since I had already spent more than five years in the city before. For him, it was a new phase of adjustment again. From house hunting to interviewing cooks, were equal partners in sorting out life and associate requirements in a new city. Life had become full of surprises again, the biggest one being my pregnancy. It was difficult to cope up with unusual physical complications, a full-time Banking job and without family. I decided to avail maternity leave from my eight-month onwards. On the third day of my resting period, we had gone out for a movie to celebrate the new phase about to begin. On returning back, we noticed that the front door of our apartment was wide open. I was confident about having locked it before leaving. Within minutes our worst fears came true as it was evident that a burglary had taken place. The debit cards and books were scattered on the bed. The wardrobes had been rummaged. Fortunately, we never kept jewelry or large amounts of cash in the house. The only thing that interested the burglars was cash of five thousand that was the salary to be paid to my house-help the next day. The police were informed and an FIR was lodged. It was soon discovered that two more apartments in the building had been broken into. Cash and golden ornaments had been stolen. The incident was a trigger point for the families to coax us to shift back to Kolkata until it was time for me to join back work. The year after my son was born, we moved back to Kolkata for good. Life had suddenly taken a different turn as we became parents. The significance of balloons wasn’t restricted to being an adornment on the walls anymore but they were an item of joy that evoked giggles of our infant. Understanding birds and animals have become a recent hobby with the toddler now. Just last week, I chanced upon a conversation where T was discussing a trip to Kaziranga National Park, Assam. I guess a trip is being planned to Dooars forest this year end and I am already ransacking my brains to find an excuse to avoid it. In the past two decades, T has written a letter to me only once. I had quit my job soon after moving back to Kolkata. Initially, I had planned on rejoining the corporate world once my son started preschool. But this sabbatical gave me a chance to connect with my passion for writing. T and I had endless conversations about the prospect of me being a solopreneur and he was definitely more excited than me. Every step that I took to venture out in this direction, my inner dilemma made me retrace my steps until I received an envelope inside my Agatha Christie book. It had three lines written on a white sheet of paper. “Quit your fears, not your dreams. No matter what, we will always have each other’s back. 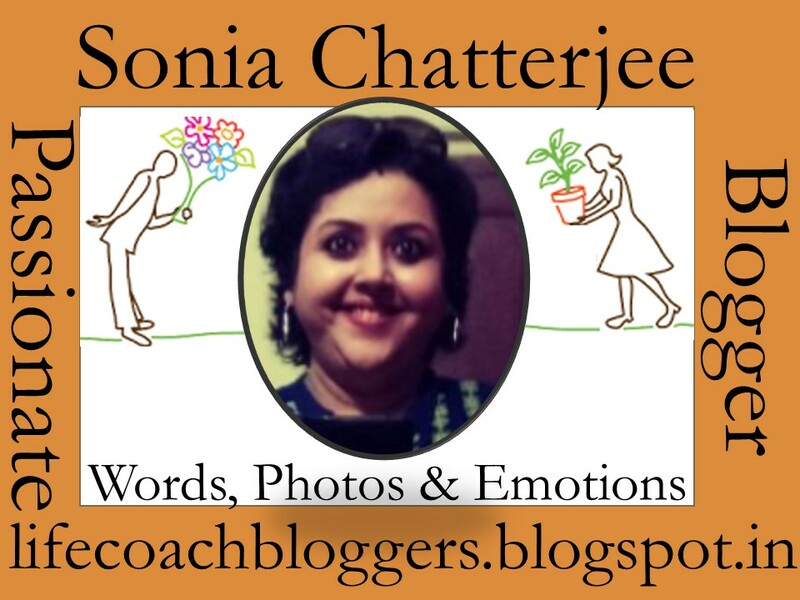 Last year on September 13, soniasmusings.com was launched. It’s been a year of my journey as a blogger and then a published author and I dedicate this post to the man who has been the fire under my wings. I realized that the definition of love and romance has changed with time and age, with the arrival of kids and on circumstances. The cakes, flowers, candlelight dinners mostly have been replaced by grocery lists, toys and play zone outings. But what hasn’t changed is that special feeling of being together as a single team. Our romance has evolved into a more mature, solid and beautiful love story. Very well described ! Me too a Retired Banker & now an Author . Thank you for stopping by and taking the time to read this. Loved reading your Life Story – a story of true love. Keep writing such wonderful blog posts. Thank you for stopping by and reading. I’m glad you liked it. This post is so beautiful, especially the part about the notes in the envelopes. I fear so few people do that kind of thing now. When my husband was courting me (nearly 50 years ago), we would write letters through the post when we were apart. I still have every one of them. We are a team and I hope you and your loved one will be a team for many years to come. Thank you for reading. There’s still so much joy in the little things of life that no technology can replace those emotions. You’ve certainly had an eventful relationship, Sonia. The most heartwarming part of your post was the mention of the letters, because that’s the bond that cemented mine with my husband too. Letters, hand-written ones. You are blessed and fortunate to have T in your life and I wish you all the love, luck and happiness in the world as you continue on this journey together. Many congratulations on the blog anniversary. May this be the start of even more years of consistent writing and blogging. Stay blessed. Thank you Shailaja for reading and sharing your thoughts. I am hoping to make my blog more interesting through fiction and useful through sharing of experiences as I step into the second year. Beautiful… Heartwarming love story Sonia. It Warmed my heart! Loved reading this post! And I completely agree. Movies show a very over-romanticized version of love, which is sweet and all, but the strength of any relationship is in the daily commitment, and undying, unwavering, unconditional love and support. Its a beautiful, candid, post Sonia. Life and romance do pick up different dimensions and meanings as we grow. Life is worth living when one has a friend, a soul mate as a partner. God bless u both and ur kiddo. Very true. The concept of romance changes with time. Thank you for reading. Such a sweet love story. It sure is amazing to have a best friend as you life partner! 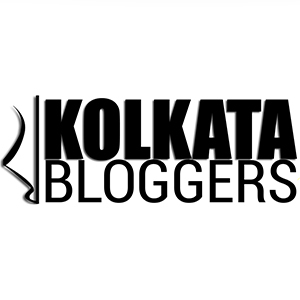 Wishing you a very happy blog anniversary and here’s to many more years of blogging and many more years of togetherness. Thank you Soumya. Your wishes mean a lot. Aaah! now I know from where Raya got conceptualised. But you have brilliantly penned the episode of your life with your husband. Two decades wow! I have just completed one and feel like a lifetime has gone by. It always feels so good to read your comment. They are so full of encouragement and motivation. I’m glad to have found a friend in this virtual world. Nice story Sonia!! Keep your pen moving !! No one can help to bring back the loss, but aving the care from the better half, esp when we lose someone we love… cant be expressed. Good one Sonia. Thank you Mahesh. It is always encouraging to read your comments. Never realized that one could also use the prompts and create a post out of real life. Loved the candid description picking up a few important incidents from life. Your comment made my day. Thank you for stopping by and reading. This is a lovely account of two decades together. Here’s wishing you many more to come, and joys galore, be they from your child, balloons, seas, mountains, forests, or just having each others’ backs. Thank you for your wishes. They mean a lot. Glad you liked the piece. Ahaan! I love your story! I wanted to attempt this prompt but lack of time. BTW I read your one post in Bonobology.com that was too good enough. Thank you for reading Romila. Any compliment from you is very special because I know you are very honest with your feedback. Awwwww!! I simply loved this post, Sonia! ❤ I don’t want to say anything more…its just too sweet! May your love get stronger by the day! God bless you both! Thank you so much for the wishes and love Shilpa. My mom said married life gets even better after the 10 year mark. From 34+, I can vouch for that. The best is yet to come! But after two decades of friendship, you’ve learned some of the lessons most people don’t learn in the first decade of marriage, I think. That’s true indeed. After two decades, there’s a level of unmatched understanding and comfort in each other’s company. Thank you for reading. When two people are supposed to be together, the whole universe comes together to ensure that! Thank you, Anita. Coincidentally, I am replying to you on the blogiversary day itself. The Chilika trip is in progress. Will let you know once it is finalized. it is so beautifully done Sonia. God bless you both. Beautiful story. Heartfelt account of your life. You write brilliantly and I enjoyed it. We connect girl! Thank you Prerna. Glad you liked it. Thank you Jayanthi for the wishes. Indeed a correct life partner can really make a huge difference. Also your blogiversary is tomorrow!!! Thank you so much for the kind words. I’m touched that you remember the blogiversary and came back to wish me. Thank you for making the day extra special. Firstly congrats for you blog anniversary, many many more to come. Heartfelt story, we all have somewhere in life faced such instances that shape us to be what we are now, glad your love story grew mature every year. Bandipur is near to my place and I loved every bit of jungle safari, come over again i will company you, you can even enjoy it within your car on way to mysuru, re-living good old days. This is such a lovely and heartfelt post. I can relate to a few things too. I also lost my parents and my husband has always supported me in everything. Good to know about your story. Hugs. Hugs and love to you Deepa. I can understand how difficult it must have been. But you are one strong woman I admire and I am sure you have come out a winner always.